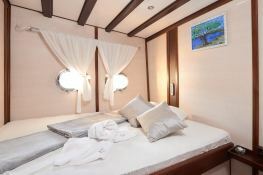 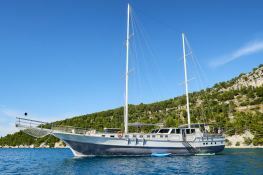 Nautilus built in 1998 by Turkish Gulet welcomes up to 14 passengers to explore Croatia. 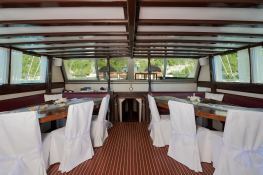 - NAC 31M reaches a speed of 8 knots due to its 1 powerful 540 hp engines. 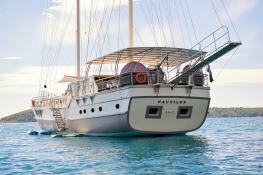 This Nautilus available for charter in Croatia is fully equipped with air conditioning, equipped galley, generator, jacuzzi and also kayak, wakeboard, CD and DVD for leisure. 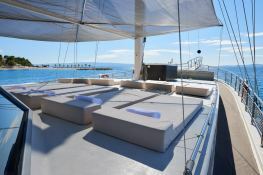 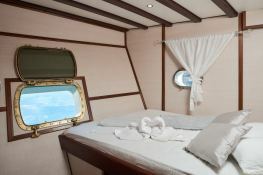 This motoryacht is available for a crewed yacht charter with a base price of 10 500 € (approximatly 11 841 $).